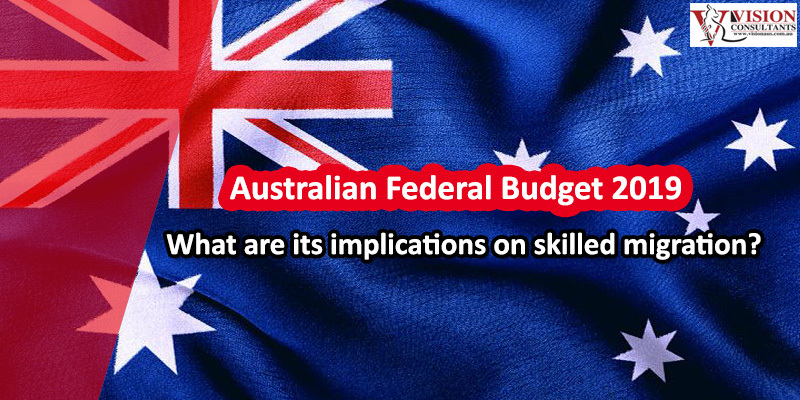 These changes will prioritize applicants who are single or whose partner can demonstrate competent English and therefore have the best potential to participate in the Australian labor market. The budget also provided further details on the government’s migration changes. The Coalition previously announced it will reduce Australia’s annual migration intake from 190,000 to 160,000 places for four years from 2019-20. The budget also mentioned that ‘from November 2021, international students will be able to apply for an additional year on a second post-study work visa if they complete a higher education or postgraduate qualification in a regional area, and live in a regional area while holding a Temporary Graduate (subclass 485) visa’ The 2019-20 Budget Paper No. 2 includes the following passage: From November 2021, international students will be able to apply for an additional year on a second post-study work visa if they complete a higher education or postgraduate qualification in a regional area, and live in a regional area while holding a Temporary Graduate (subclass 485) visa.